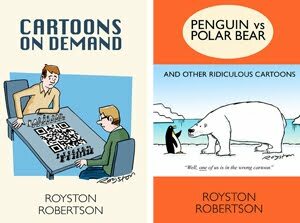 I've got a couple of cartoons in the above exhibition at the Cartoon Museum in London. 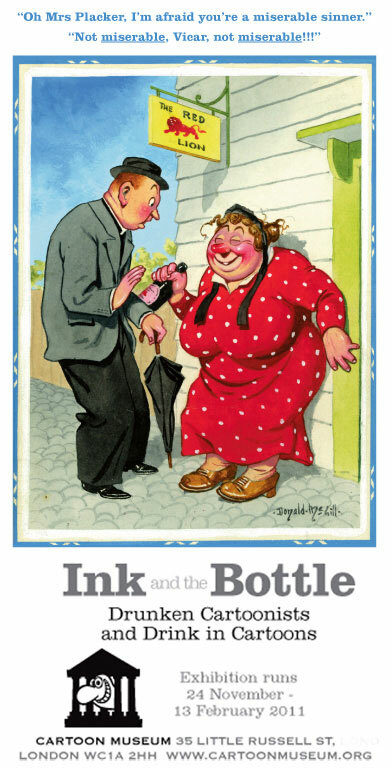 Neither are quite as colourful as the Donald McGill cartoon above, because they're the original ink drawings that were later scanned and coloured, using Photoshop, for Reader's Digest. As you've probably gathered, all the cartoons in the show are on a drinking theme. I saw it last night and it's very well put together, covering the good and bad points of Britain's favourite leisure activity. The exhibition is not chronological, instead cartoons are linked by different aspects of the theme. It's fun to see how many similarities there are, despite the different times, between Ally Sloper, Andy Capp, and Viz. Go see. 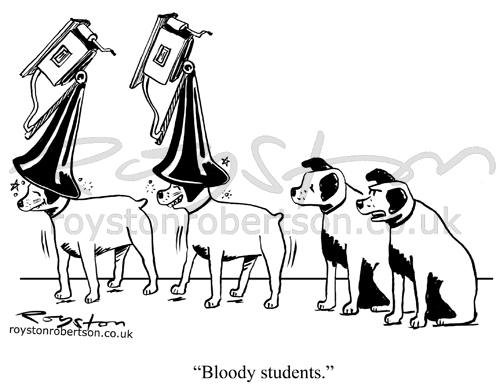 More HMV dog cartoons (scroll down).